It’s that time of year again when most of us are putting up our Christmas Trees. 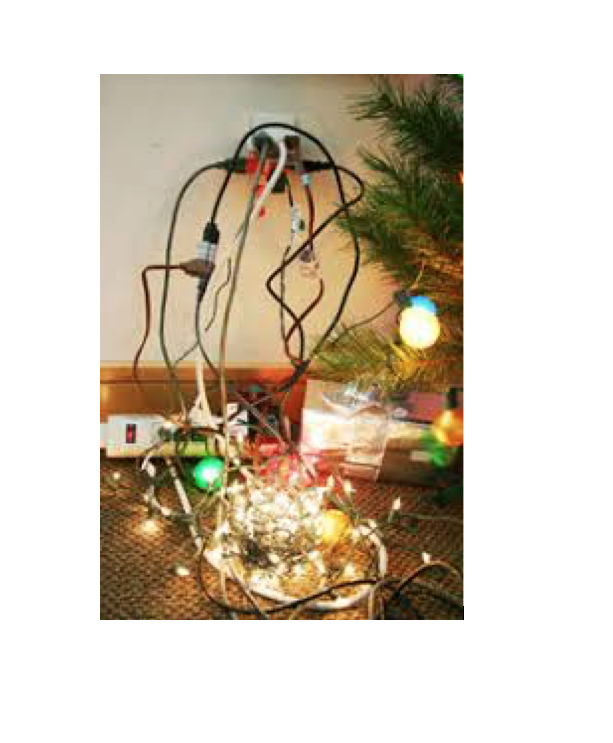 It’s tempting to plug several sets of fairy lights into one socket and “make do” for Christmas, but overloaded sockets can quickly overheat and could lead to a serious fire. Most people have extension leads in their home using 4-way adaptors to increase the number of appliances that they can plug into a wall socket. However, although there is a space to plug in four appliances, this does not mean it is always safe to do so. Don’t overload sockets – plugging too many electrical appliances into one socket can lead to overheating. Check regularly for signs of dangerous or loose wiring such as hot plugs and sockets indicate that something is wrong. A clear sign that something is wrong is having fuses that blow often or circuit breakers that continually trip for no apparent reason. Many larger high powered appliances such as washing machines and dryers because of the high power consumption, should ideally have a single socket themselves. For more Expert advice call into your local store.